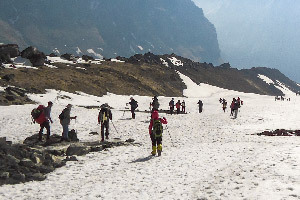 On this unique trip, you will scale the heights of the Himalayas most popular and majestic peaks: Everest, Kanchenjunga, Makalu, Lhotse, Cho Oyu, Manaslu, Dhaulagiri and Annapurna Base Camps. In your own private helicopter, fly from one stunning vantage point to the next. 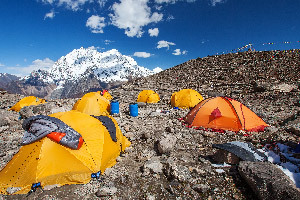 Accompanied by an experienced Sherpa you will stay in charming and cozy mountain accommodation and soak in experience of spending time on the roof of the world. On your return to the plains discover the scenic Pokhara and go exploring in Chitwan National Park. 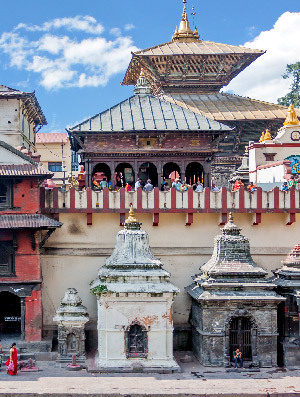 Round off your adventure exploring the stunning ancient sights of Kathmandu and the surrounding valley. 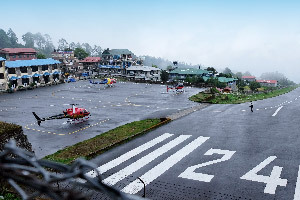 Fly to the base camps of the various Himalayan peaks by helicopter, accompanied by your own private, expert sherpa. 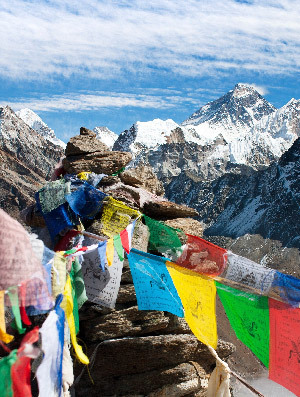 Marvel at the timeless views of Everest and the Annapurna range. 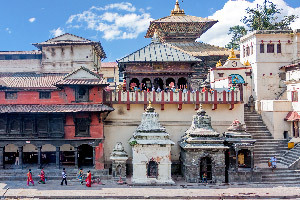 Visit sacred and historic temples in and around Kathmandu. 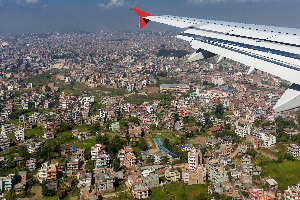 Touch down in Kathmandu, the capital of scenic Nepal. After being met by your guide, you will be whisked through the city to your comfortable hotel, where you can get your bearings and, with a briefing from your expert Sherpa guide, prepare yourself for the adventure ahead. Overnight at hotel. 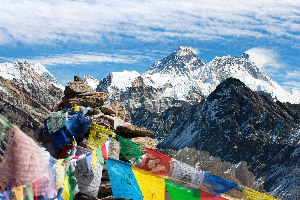 An early start is rewarded with a flight to the base camps shared by Everest and Lhotse, at a breathtaking 17,400 feet. 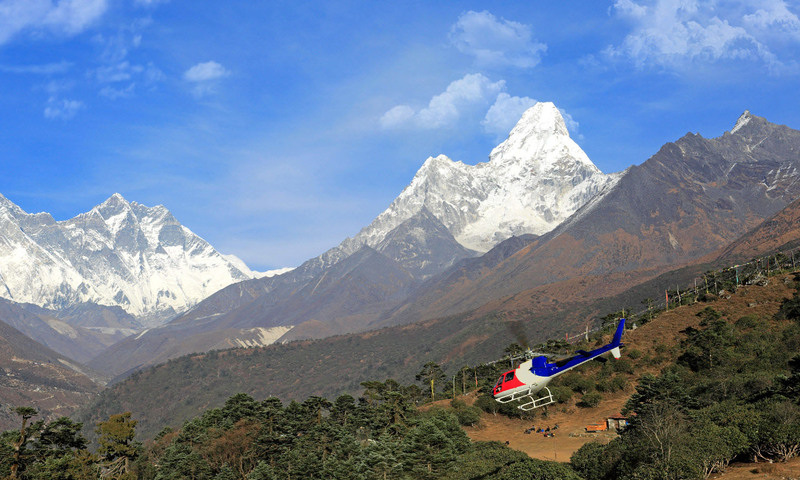 Pause to take in the spectacular views of four of the world's six tallest peaks: Lhotse, Makalu, Cho Oyu and, towering over them all, Everest. 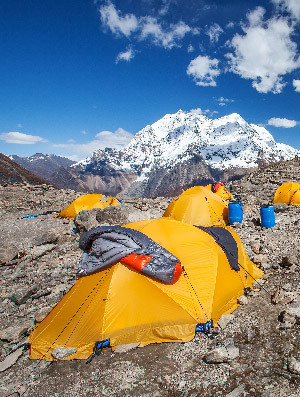 Fly onwards for Cho Oyu Base Camp for views of the Tibetan Plateau from 16,100 feet before a sumptuous breakfast. After breakfast, you proceed to Bandipur to settle in for an overnight stay. Overnight at hotel. 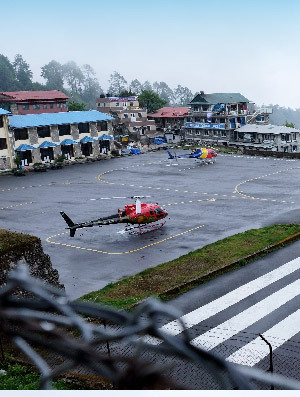 This morning, climb aboard the helicopter bound for Manaslu Base Camp. While sheltered in its flat rock location at 14,800 feet, there is every chance you will be met with snowfall or be enveloped in cloud here. Fly onwards to Pokhara this afternoon, and relax amid the natural beauty that surrounds this enchanting city. Take a stroll by the lake, enjoy the mountainous panoramas, and spend the night here. Overnight at hotel. 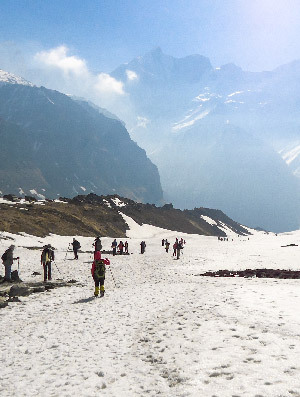 Today, prepare to visit Dhaulagiri Base Camp at 15,600 feet and Annapurna Base Camp at 13,550 feet, for views of the Annapurna range and the glacier basin known as Annapurna Sanctuary. 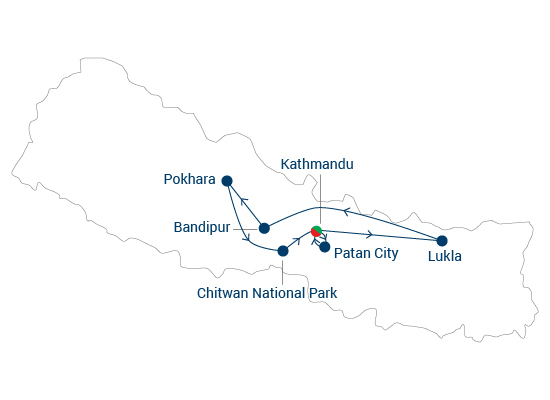 Touch down near Seti Gorge for breakfast, and then continue to Chitwan National Park. 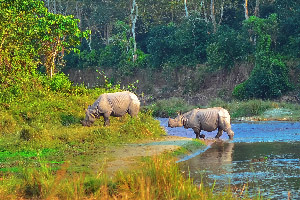 This afternoon, explore the park in search of its endangered treasures including the one-horned rhinoceros, royal Bengal tigers, elephants and antelope. Overnight at hotel. 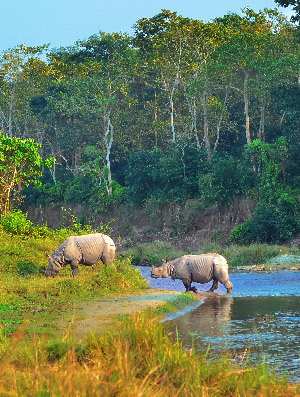 Start the morning with a nature hike along the riverbank of Chitwan National Park spotting native birds and taking in the unspoilt beauty of the surrounding forest. Later, after breakfast go on a jeep safari through the park. In the afternoon enjoy a boat ride on the river as it meanders through this reserve which is home to elephants, rhinoceros, crocodiles and Bengal tigers, plus hundreds of bird species. Disembark and enjoy a serene sunset over chilled drinks or perhaps a hot cup of tea with freshly prepared savory hot snacks before returning back by surface to your Lodge. Overnight at the lodge. After breakfast you bid the countryside goodbye and embark on your flight back to the city. 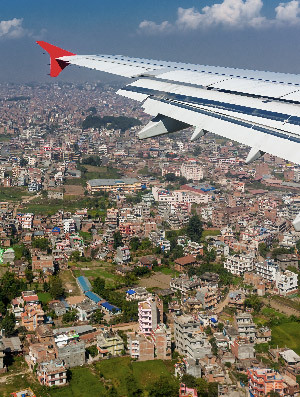 Touch down in Kathmandu and retire back to your comfortable city hotel, to spend the evening at your leisure. Overnight at hotel. 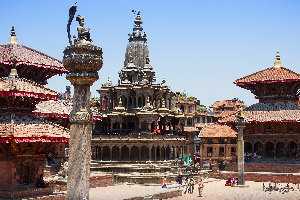 Today you will explore the UNESCO temples and architecture of Kathmandu Valley. 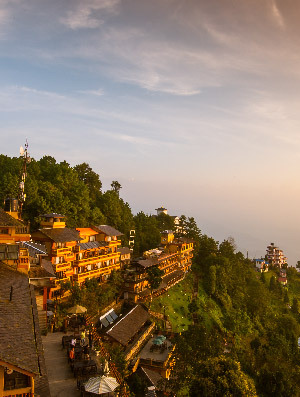 This beautiful green valley with its ancient towns comprise an intriguing collection of temples, shrines and palaces. 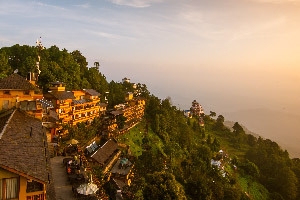 Legend says that the valley was created from the bed of a sacred lake by the deity Manjushri and the basin is a patchwork of terraced fields and sacred sites each displaying some glorious examples of local architecture. 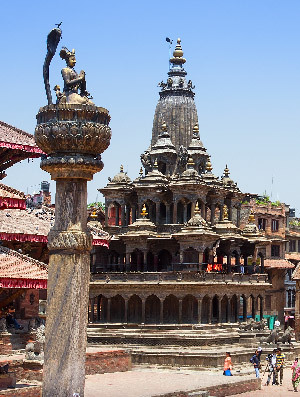 Your first stop in the picturesque valley is Patan, once a fiercely independent state but today more of a suburb of Kathmandu city. It still however houses the remains of the finest collection of temples and palaces in the country. Here, the Krishna temple is a key attraction. Constructed from carved stone instead of the usual brick and timber this temple showcases the architecture influences of an Indian temple design. Another temple complex of note is Budhanilkantha. Lying slightly off the beaten track most visitors tend to be local devotees and this gives the complex a slightly mystical air. Stroll around and you will see butter lamps flickering in the breeze, sweet incense smoke curling through the air, and devotees tossing red tikka powder as part of the rituals. 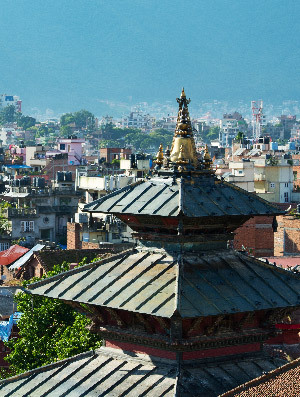 Another good reason to visit Patan is to enjoy the shops and restaurants set up to cater to the NGO workers and diplomats who live in the surrounding suburbs. 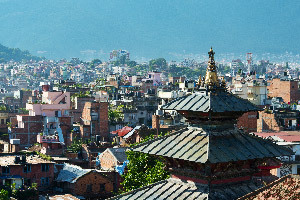 After exploring Patan, time permitting you will visit a Tibetan Refugee camp to watch woodcarving and carpet-weaving before returning to your hotel in Kathmandu. Overnight at hotel. Today marks the end of your journey and after breakfast you will be transferred to the airport for your onward flight.